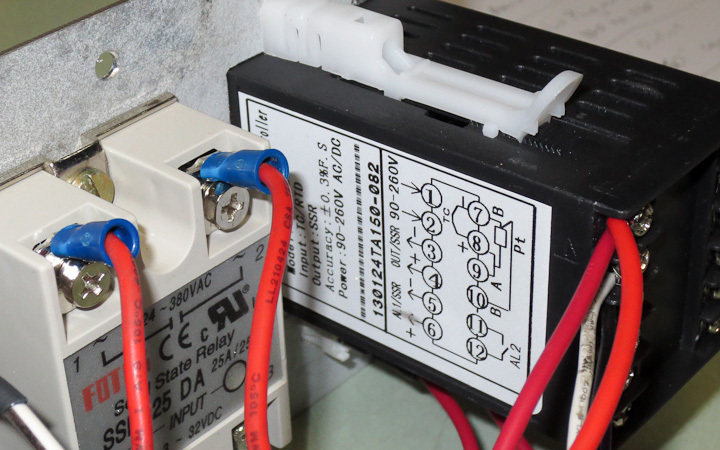 One of the joys of the modern world is the availability of low cost PID temperature control modules. 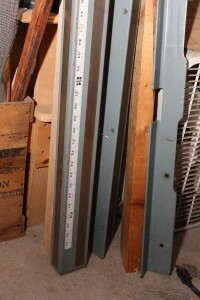 These have been around for a long time in the industrial world but in the past were cost prohibitive for home hobby use. Now you can buy a pid temperature controller for $25 from Amazon.com. Adding in a type K thermo couple ($6), a 25A SSR ($7) , and some items from your parts bin (switch, outlet, plug, fuse holder) you can build a nice little temperature control panel capable of keeping a piece of production equipment at a fixed temperature while running for less then $50. This project is more for documentation for future use by myself but here is some back story. 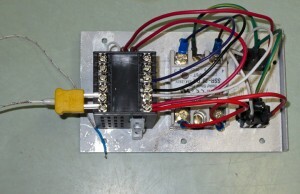 I was in need of a temperature control unit for a piece of production equipment for my company. 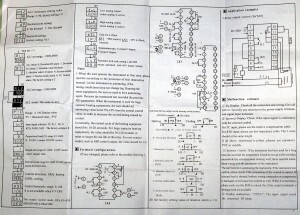 We had purchased a cheap control unit that was essentially a solid state pulse width modulator, ie. turning the device on and off with control of the cycle times. 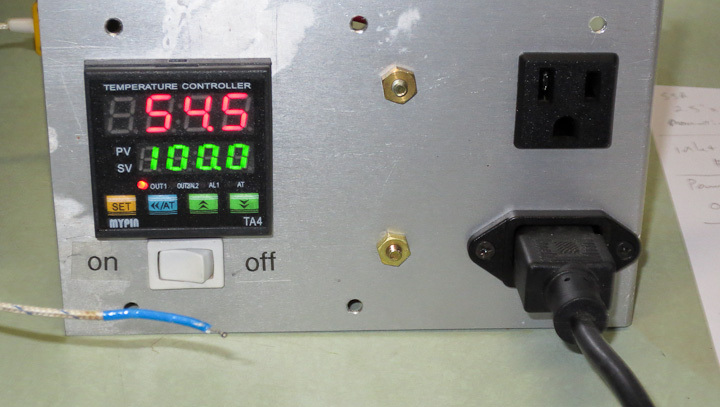 During production runs the PWM unit did not keep the temperature fixed and we were seeing variations in the final quality of the product. This is a low risk, non hazardous process and so this quick cheap but very accurate PID temperature controller was the way to go. 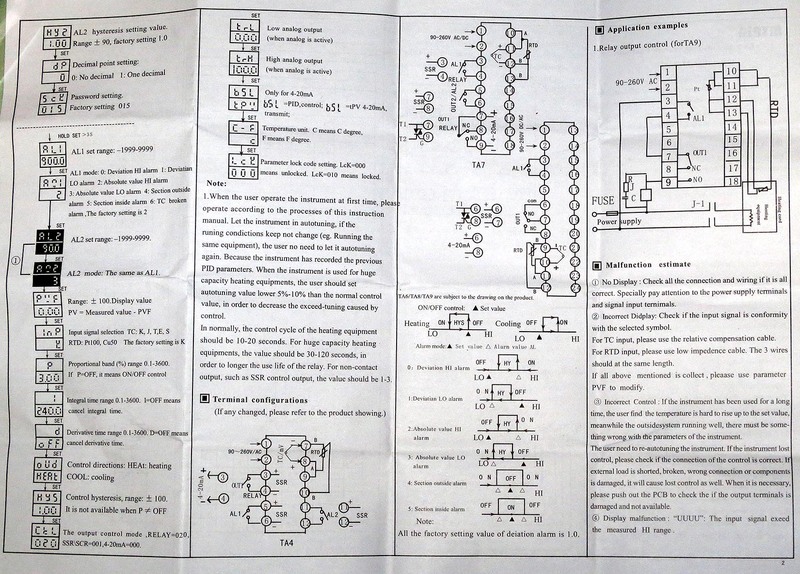 The wiring is fairly straight forward as shown in my rough, chicken scratches on paper diagram above. 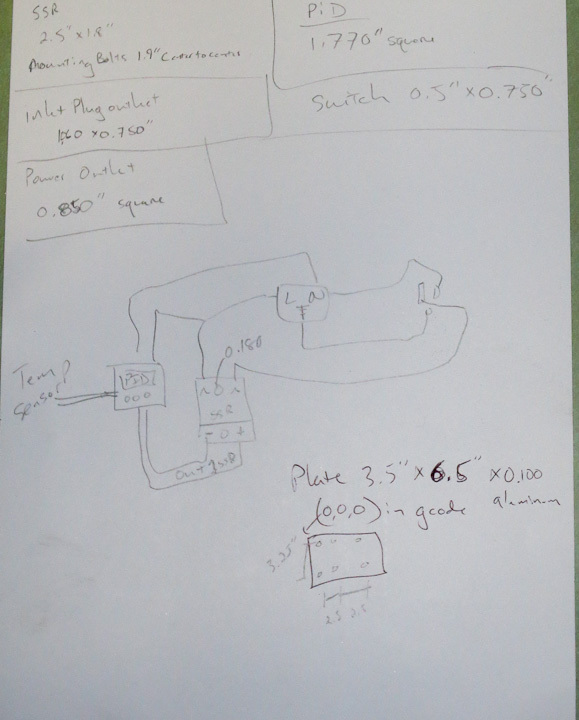 I’m not proud of the drawing, but it was more for the dimensions of the switches then the actual wiring diagram. 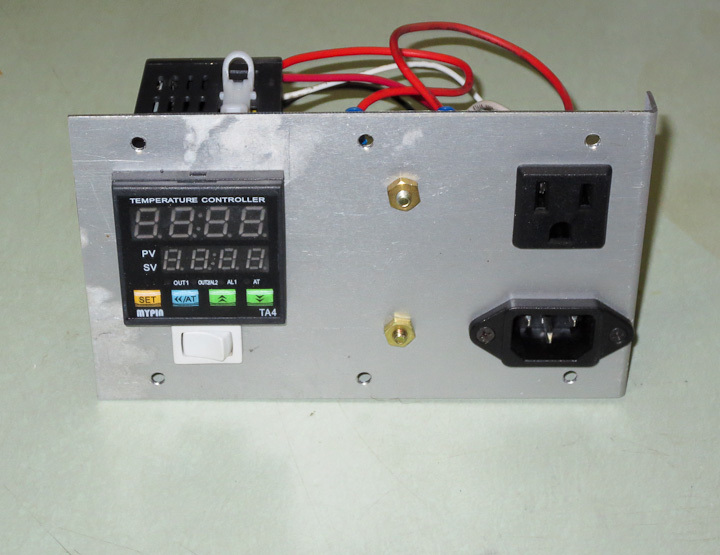 I used my cnc machine to mill out the panel that houses all of the components. 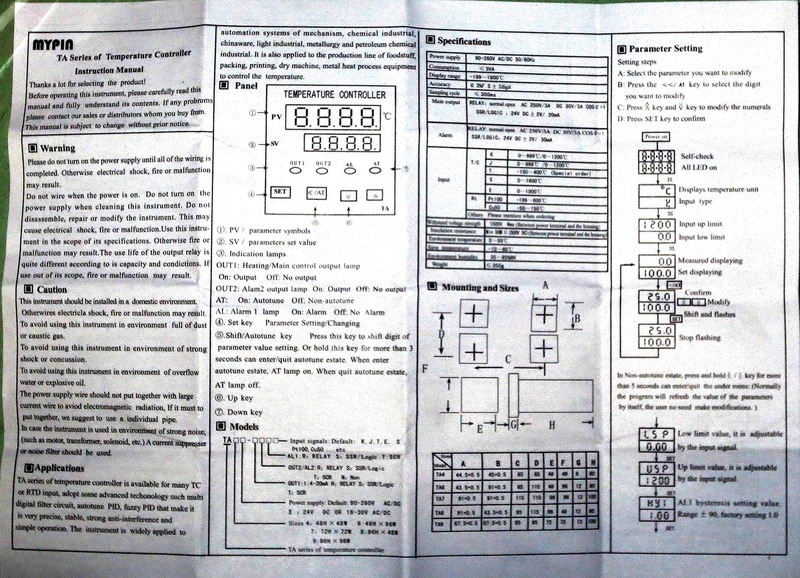 (dimensioned drawing of panel – PID Temperature Control Panel Drawing) You could just as easily hand cut openings in a small electronics box if you were building one at home. 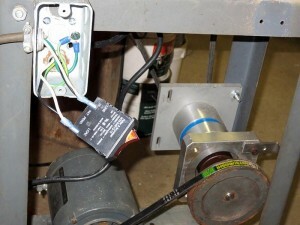 Be sure to carefully follow hook up instructions on the PID temperature controller. 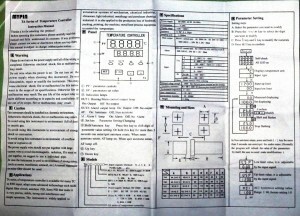 The unit has makings labeled (Note: the part numbers in the above picture are for future my reference) on it as well as in the instruction sheets. These were taken during the first assembly. I have since added a fuse holder between the line in and the switch with an appropriately sized fuse for my device. Fuses are important as they protect your equipment in the case of a failure. 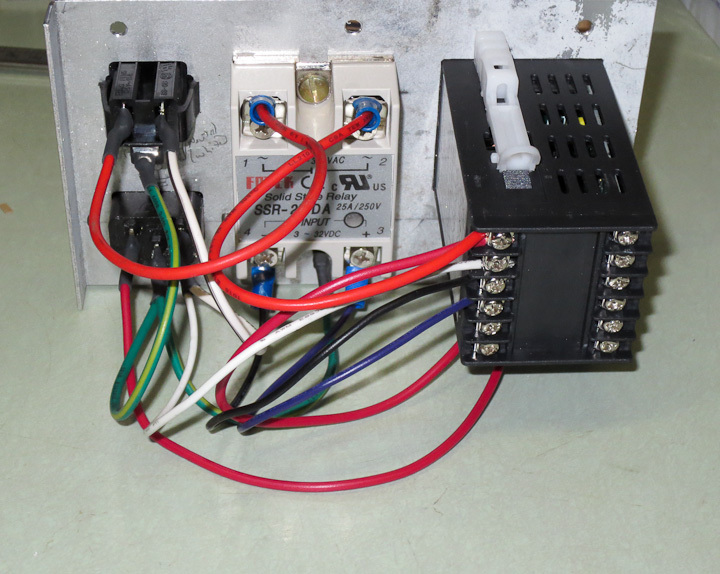 When you wire up projects like this, take time to do a tidy job of it. While as a hobbiest we do not have 100 colors of wire to choose from, make choices that follow standards if you can. A few I always keep are white is for neutral and green is for ground in any AC wiring. Standards are there for a reason. I recently worked on something where the manufacturers chose black wire to be the V+ and green the V-. It was nothing but a headache to work on so choose your wire colors appropriately, you might need to go in and add or change something in a few years and keeping to standards makes life easy. The finished PID panel works and looks great. It resulted in a significant decrease in reject rate on our production (15rejects/1K reduced to 1 reject/1K). 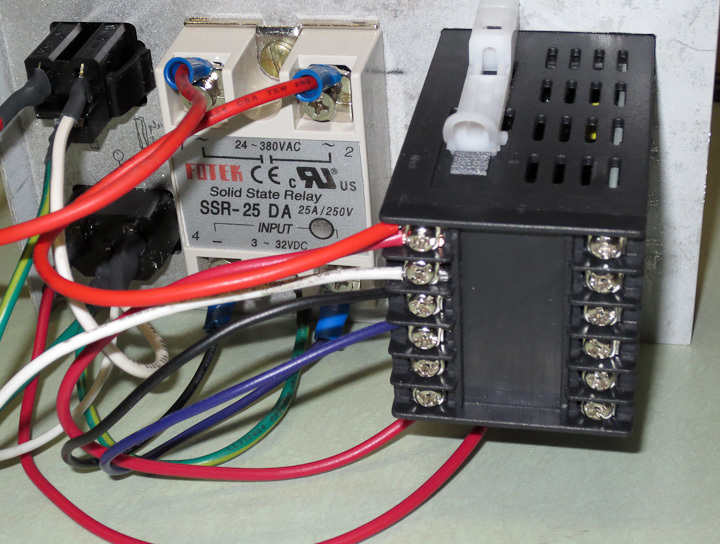 I will build a second identical PID temperature control unit to run my filament extruder that I am working on building to feed my 3d printer using recycled scrap plastic. 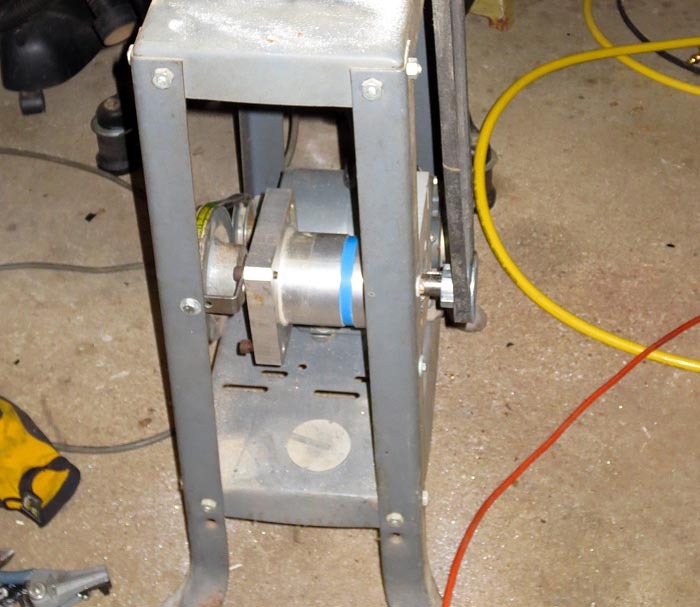 I needed a small metal cutting bandsaw for pre-cutting stock for my 3 axis CNC milling machine but I did not want to spend a lot of money on a new one. I had been checking craigslist when this little gem came along. 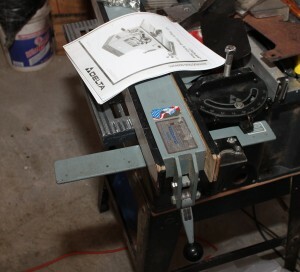 It’s a Rockwell/delta 10″ bandsaw (here’s a copy of the owners manual for this saw) that takes a 71 3/4″ blade. 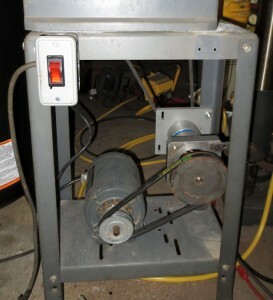 It has a nice rigid cast iron frame, metal band wheels, and an open drive mechanism making it perfect for a conversion. The major difference, outside of the blade itself, between a wood cutting bandsaw and a metal cutting bandsaw is the blade speed. 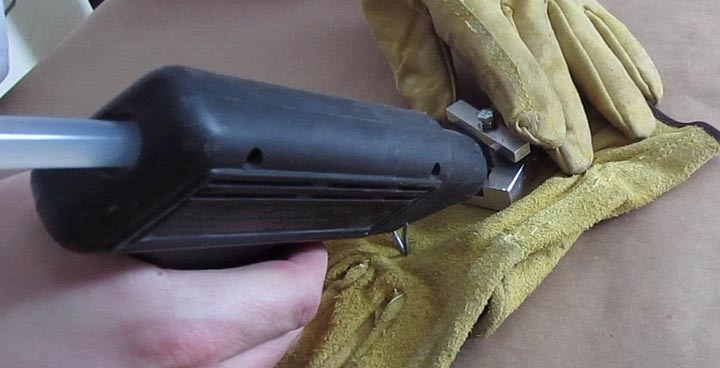 Wood cutting bandsaws run too fast for metal cutting. 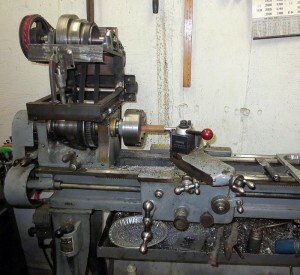 To convert over to metal cutting duties I needed to reduce the speed of the band wheel by about a factor of ten. 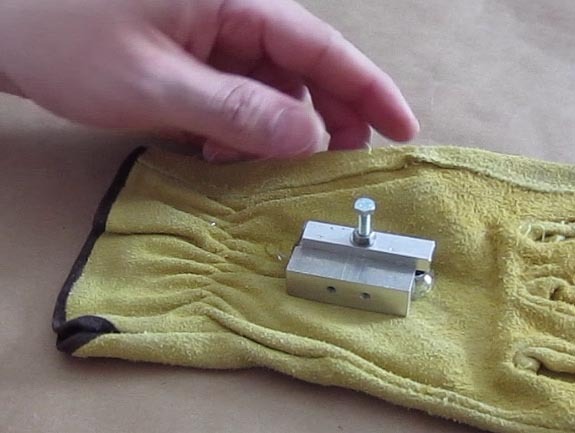 My initial inclination was to use a larger pulley to slow down the blade but some calculations determined even a double pulley reduction would not slow it down as much as I would like. 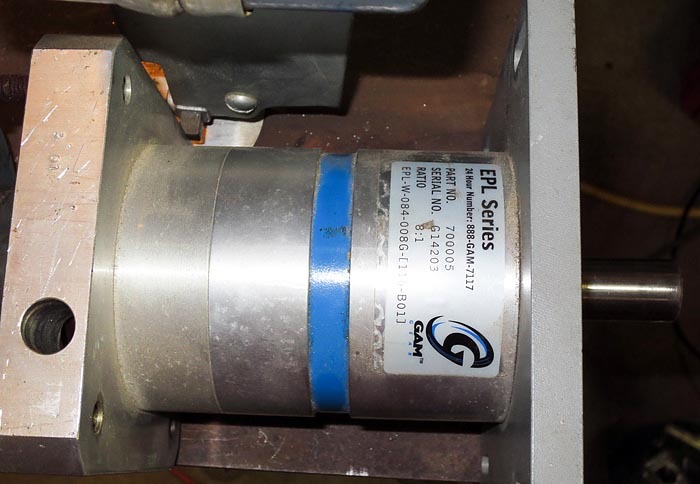 I went through my list of parts on hand and decided to employ an EPL series motion control gear reduction unit with an 8:1 reduction ration. That would slow the bandsaw blade down with the pulleys I had on hand to a good speed for cutting metal. The gear reduction drive is designed to bolt onto a face mounted motor and as such has a female shaft mount on one end. I quickly turned a spindle from some steel stock to 24mm on the gear drive end and 5/8″ on the other for the pulley. 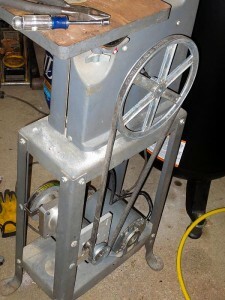 The goal of this project was to quickly have a good metal cutting bandsaw with what I had on hand and minimal spend. Coming back to the discourse on design, I was designing with what I had available for this project. It may seem a bit ridiculous to use such an expensive part on a $50 saw but I figure I can always pull the gear reducer later if a more pressing need for it arises. I decided to reuse the original belt that came with the saw. I upgraded the stock pulley to the largest one I had on hand, and drilled some holes into the legs of the stand to mount the reduction drive. 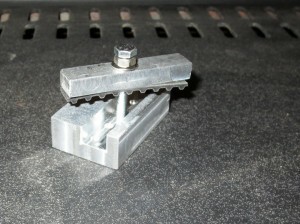 The gear drive needed a bracket to support it on the other end. 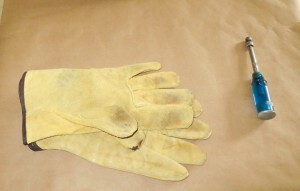 One was fabricated out of 1/8″ steel stock. 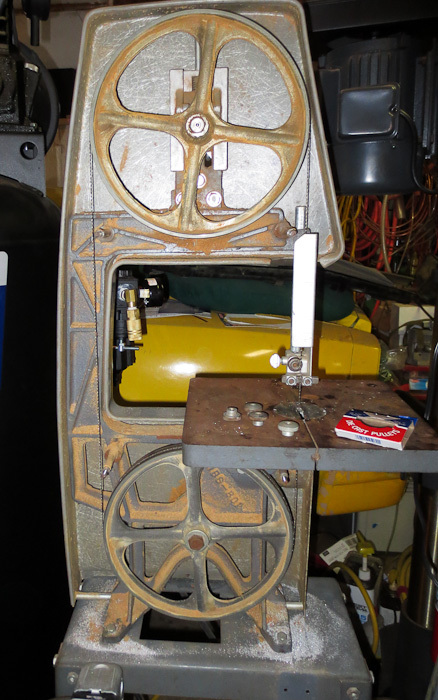 This arrangement required the motor to be relocated which was accomplished by drilling 4 new holes in the correct location on the base of the stand. Be sure to check the motor rotation and reverse it (usually swapping wires inside the motor wire box) to correct it if the blade is going the wrong way. The new drive belt is a 4L290, as I happen to have 3 of them on hand. I only had to buy 2 parts in addition to the bandsaw itself for this project. 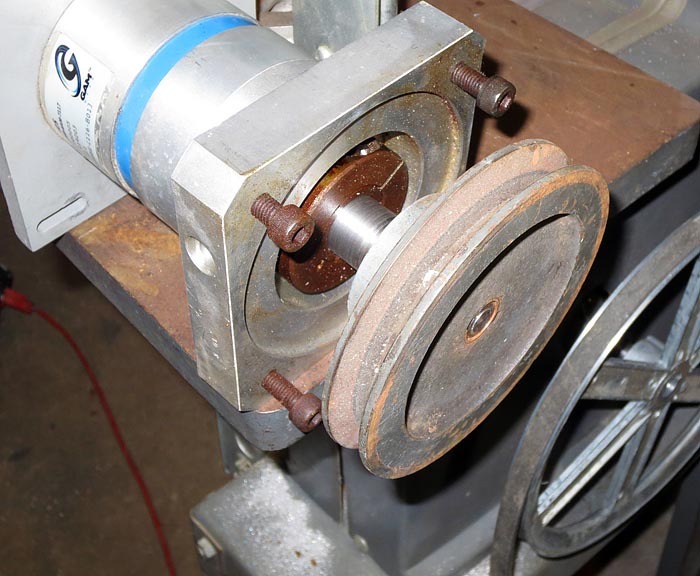 The first was the small pulley that is mounted on shaft of the gear reduction drive. 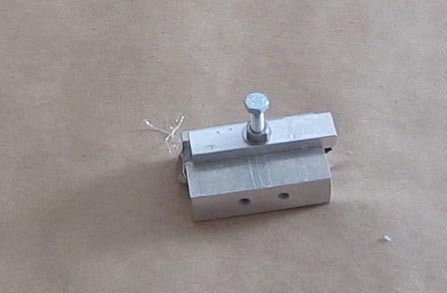 I purchased a 2 3/4″ dia pulley with a 3/4″ bore at my local tractor supply store. Tractor supply has a good selection of motors, pulleys, and belts in stock. 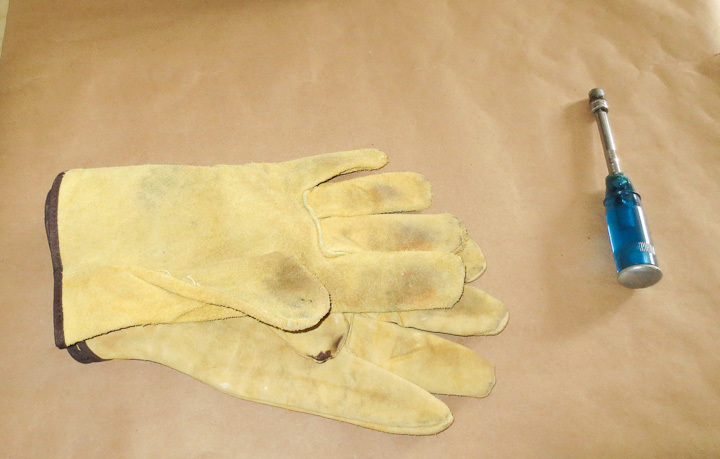 Not a lot of hardware stores carry these items in this day and age. I had to bore out the pulley’s 3/4″ bore to 20mm on the lathe to make it fit onto gear reduction unit output shaft. Wiring on old tools is horrific and when I opened the electrical box up I was thankful I didn’t get electrocuted when I tested out the saw. I replaced all of the 40 year old scary wiring and upgraded the switch with a modern unit. 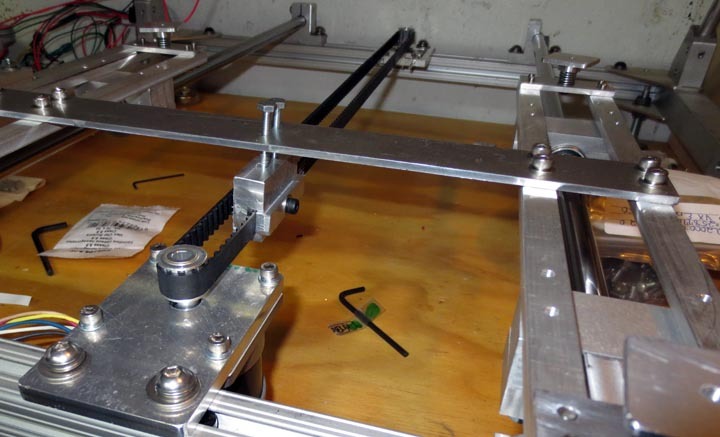 The only other part I purchased for this project was a small spacer for the handybox that encloses the wiring for the bandsaw. These are available at Home Depot for less then a buck. 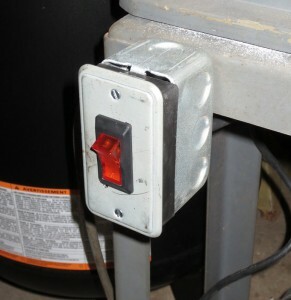 The new switch I selected did not fit in the enclosure, requiring the spacer. 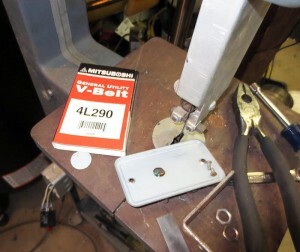 I used the CNC mill to cut the opening in the switchplate. 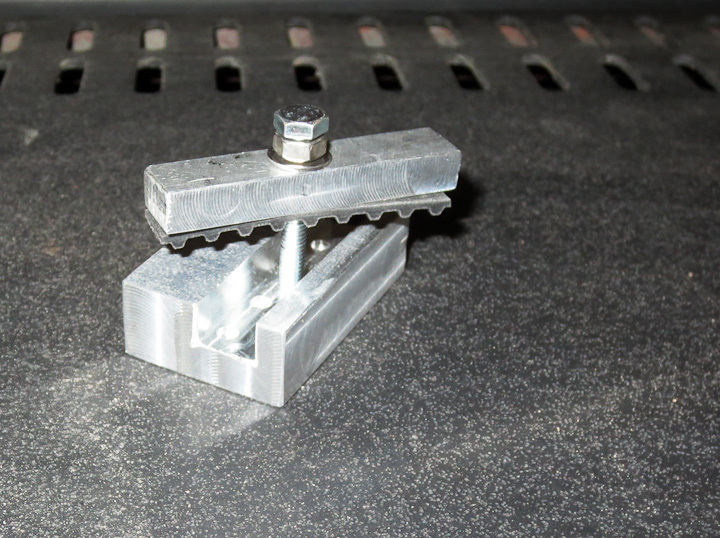 The finished tool works well and I’ve already cut several linear feet of aluminum stock on this saw, with a 6 tpi wood blade in place. I’ll be ordering up some good bi-metal blades in the near future. I am very happy with this little project and foresee myself getting many years of good use out of this saw. 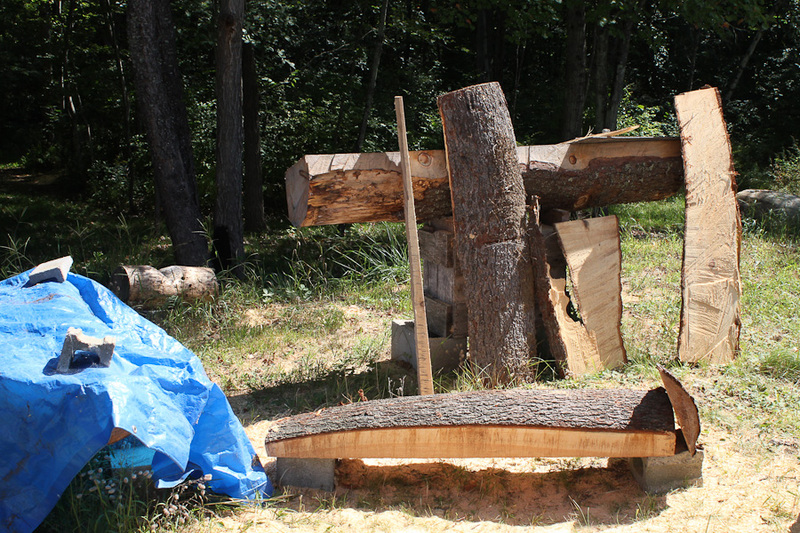 I recently traded some cut firewood for a nice log or two for milling with my Alaskan Chainsaw lumber mill I built some time ago. 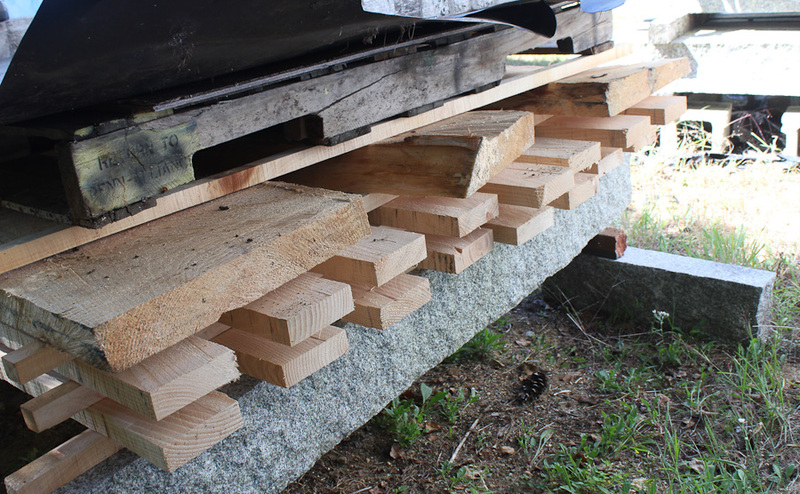 I tried a more efficient approach towards milling lumber with the chainsaw mill on these logs. 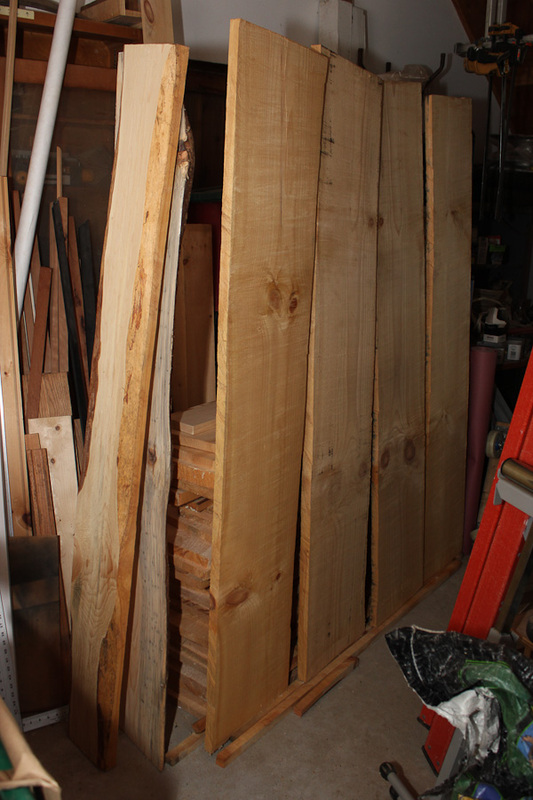 I cut large thick slabs (5″ thick in this case) with the chainsaw mill. I then used a table saw to rip them down to 5/4 rough cut boards. It takes two passes and flipping the “slab” to cut each board but it’s much faster and wastes less wood due to Kerf. 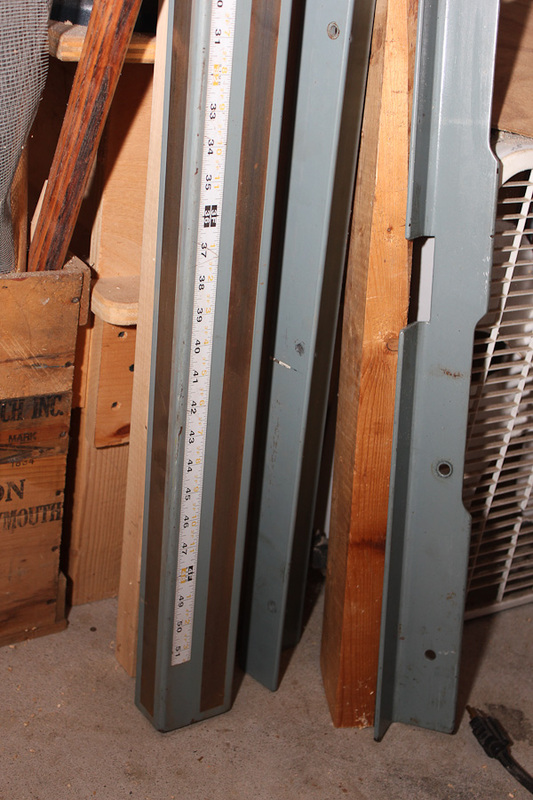 With my 10″ saw I can cut 6″ wide slabs and will mill the slabs at this thickness in the future. The only drawback to this method is that the thick slab is very heavy. 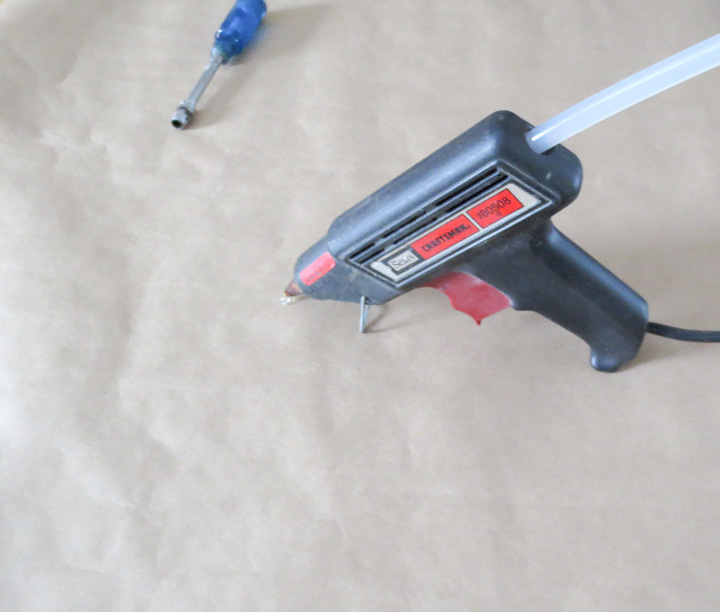 I managed by using carefully by using roller supports and lots of effort. As you take each board off it becomes easier and easier to move and feed the thick slab. Using the chainsaw mill coupled with the quick efficiency of the circular saw blade on my table saw greatly sped up the lumber production. My old tired light weight craftsman table saw that I bought back in high school has been on top of my tools to replace list for a very very long time. I knew I wanted a full on cabinet saw with the capability to cut a full sheet in half. 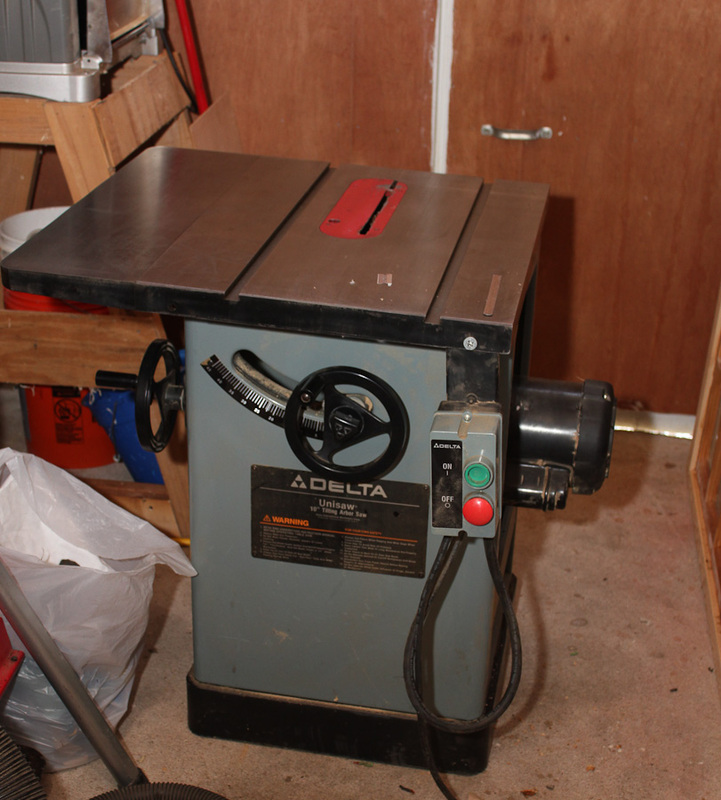 I periodicaly check craigslist for tools, and after milling these logs with the much faster and easier Alaskan saw mill and table saw combination I was once again looking for the right table saw. 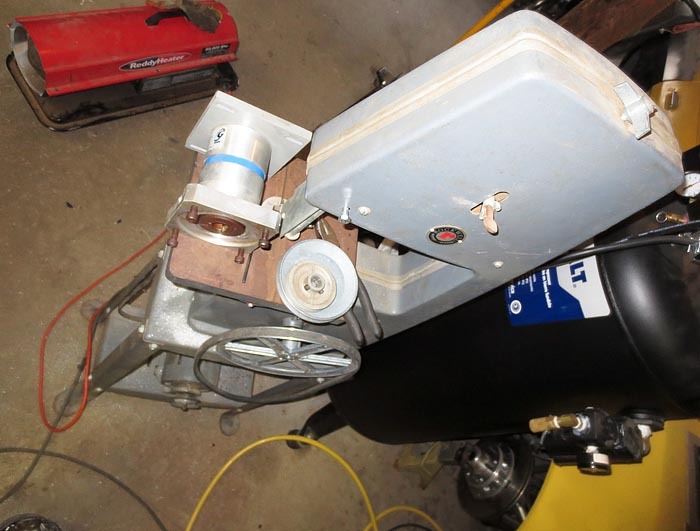 As luck and fate would have it, I found exactly the saw I wanted listed at a ridiculously low price. I sent an email and when I got a call back I was shocked to find it was available. I ran up to check out the saw and it was perfect! Needless to say it came home with me. I still love turning logs into lumber. I wondered if it would get old eventually but it has not as of yet. It is excellent excercise and sure beats boring excercise at the gym. The above photo shows some of my dried wide pine boards. My planer only handles 13″ wide boards. The stacked boards supporting the upright rough ones has all been planed to slightly over 1″ thickness. I will be using this wood and my new table saw in the very near future to build myself some much needed country style bookshelves and a small table or two. Stay tuned for future posts on those projects.